Roma and FC Porto will be facing each other in the 2nd leg of their Champions League play-off tie on Tuesday night, after the 1st leg ended 1-1 at the Estadio do Dragao. Check out here our Roma v Porto betting preview with predictions, betting tips, line-ups, team news, best odds, bookie offers and no deposit free bets on the Champions League qualifiers! Roma managed to come away from Portugal last week with a very satisfying 1-1 draw. This result was achieved despite the sending-off of Roma centre-half, Thomas Vermaelen, just 41 minutes into his debut. The Giallorossi followed this up with an impressive 4-0 win over Udinese on Saturday as they kicked off the Serie A campaign. After they won 14 and lost just one of their final 19 league fixtures last term, Luciano Spalletti's men have started this season in a very convincing style. Thomas Vermaelen is suspended for the second leg clash and former Tottenham defender Federico Fazio is expected to start as centre back. Antonio Rudiger is out with an injury and Alessandro Florenzi will miss out as well. The Italian international will be replaced by new signing Bruno Peres. Wojciech Szczesny is expected to start ahead of Alisson while Stephan EL Shaarawy and Edin Dzeko are in contention for a starting berth up-front. Porto come into this clash on the back of an impressive seven-game unbeaten run in domestic competions which includes recent wins against Vitoria Guimaraes, Villarreal, Rio Ave and Estoril. They have won their opening two fixtures of the new Primeira Liga campaign and currently sit top of the league table tied on 6 points with Sporting Lisbon. Anyway, the Dragoes are winless in the last three Champions League matches, including last week's 1-1 at the Estadio do Dragao. Sergio Oliveira is back from Olympics and is a candidate to start in midfield. Regular forwards Aboubakar and Brahimi are currently in a bad shape and as consequence the likes of Jesus Corona, Andre Silva and Adrian Lopez are expected to start up front. In midfield Danilo Pereira and Hector Herrera will retain their berths while Layun, Marcano, Felipe and Maxi Pereira will form the four man defense. Defenders Alex Telles and Bruno Martins Indi and midfielder Juan Fernando Quintero are out through injury. Roma(4-3-3): Szczesny – Jesus, Fazio, Manolas, Bruno Peres – Strootman, De Rossi, Nainggolan – Perotti. Salah, Dzeko. FC Porto (4-3-3): Casillas – Layun, Marcano, Felipe, Maxi Pereira – Danilo Pereira, Oliveira, Herrera – Corona, Silva, Adrian. 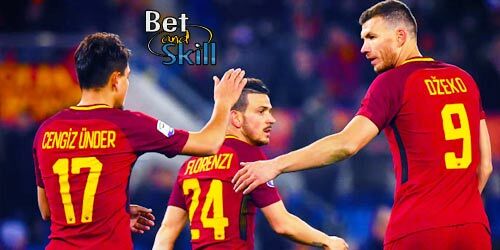 "Roma v Porto predictions, betting tips, lineups and free bets (Champions League - 2nd leg - 23.8.2016)"